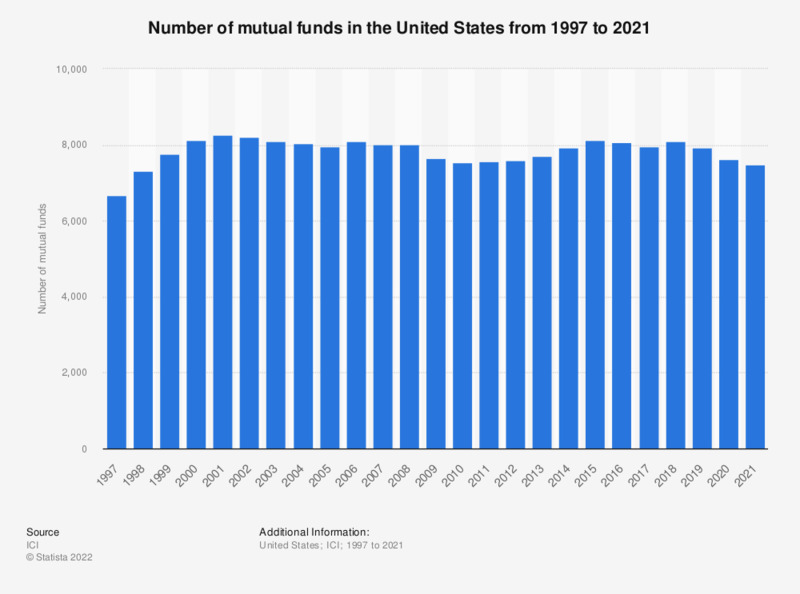 The statistic presents the number of mutual funds in the United States from 1997 to 2017. Mutual funds are a form of collective investment. The investors’ money is pooled together and invested in selected financial instruments, according to the strategy defined in the fund prospectus. There are different types of mutual funds available to investors, corresponding to the return expectation and risk level that they are ready to take. There were 9,356 mutual funds in the United States in 2017. Data include mutual funds that invest primarily in other mutual funds. Mutual funds reporting to the Investment Company Institute.